With that in mind, our chefs have created an all-new lunch menu: salads and sandwiches made to satisfy and sustain you through your day. Each has been thoughtfully prepared with natural ingredients—breads and cheeses, veggies, grains and greens—all brought together so that every bite is full of delicious flavor. The food is made fresh daily and surplus Mercato items are donated to the community. Available in select stores in Chicago, Los Angeles, New York, Sacramento, San Francisco and Seattle. 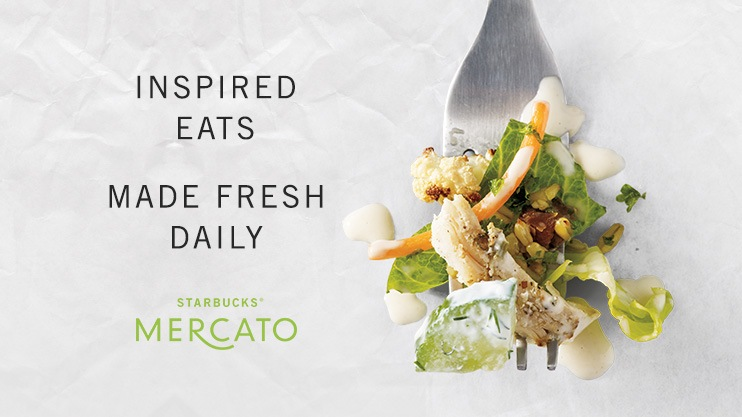 Surplus Mercato items are donated through Starbucks FoodShare, a partnership with Feeding America. Learn more here. Protein seeker? Try one of the many protein-rich salads or sandwiches. 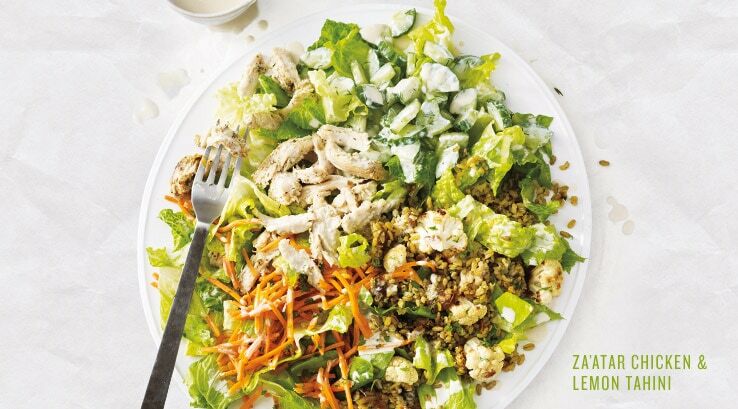 The Za’atar Chicken & Lemon Tahini serves up slow-cooked chicken with nutty za’atar spice (a Middle Eastern blend of dried herbs and sesame seeds), ancient grain, chunky cucumber tzatziki, marinated carrots, chopped romaine and lemon tahini dressing. Sandwich enthusiast? We’ve got hot and cold choices, each tempting in their own right. Take the Roasted Turkey & Dill Havarti Sandwich, for example, a delicious refinement of a classic. 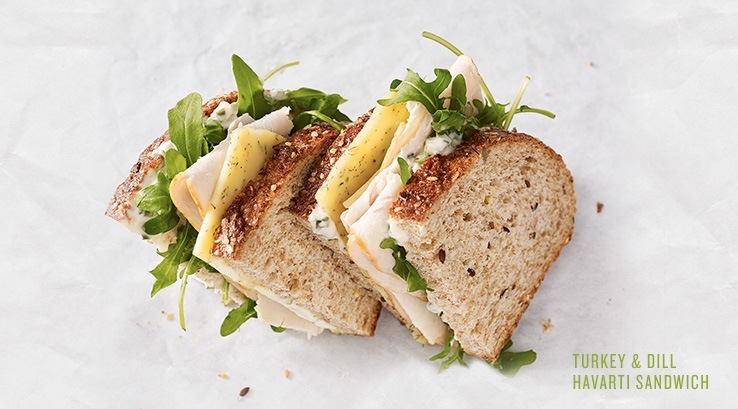 Thinly sliced turkey breast, herbed Havarti cheese and zesty arugula are topped with a lemon aioli and served on hearty Bavarian multigrain bread. Hearty salad lover? Choose from a satisfying variety including the Grilled Chicken & Cauliflower Tabbouleh. 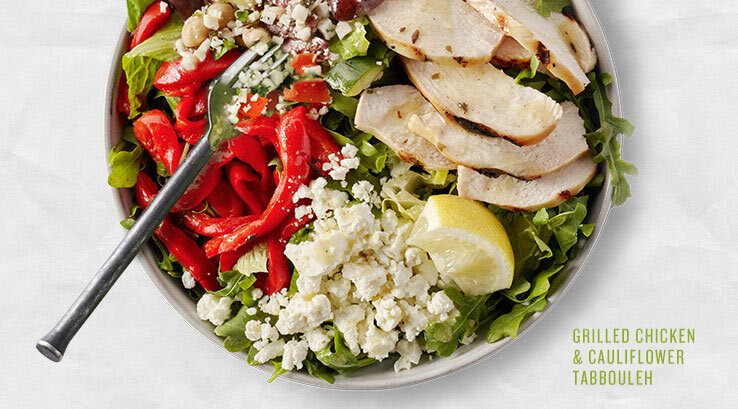 It’s packed with chicken breast, cauliflower, roasted red pepper, chickpeas, Kalamata olives, aged feta cheese, arugula and romaine, tossed with a red-wine vinaigrette.